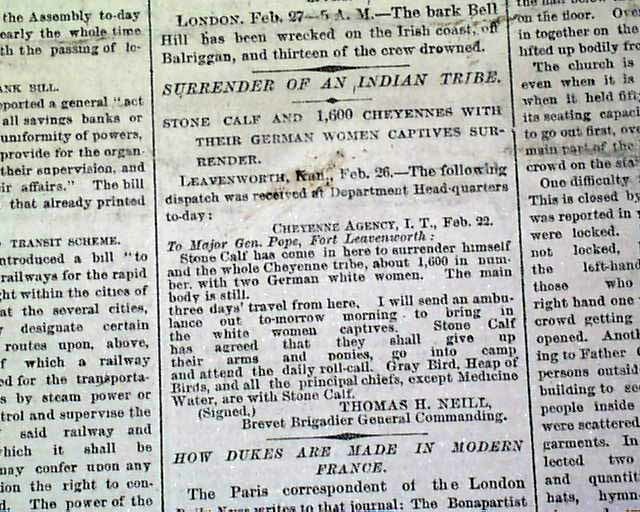 The front page as small one column heading on 6th column: "Surrender Of Indian Tribe" and "Stone Calf And 1,600 Cheyennes With Their German Women Captives Surrender". See photo for brief text here. 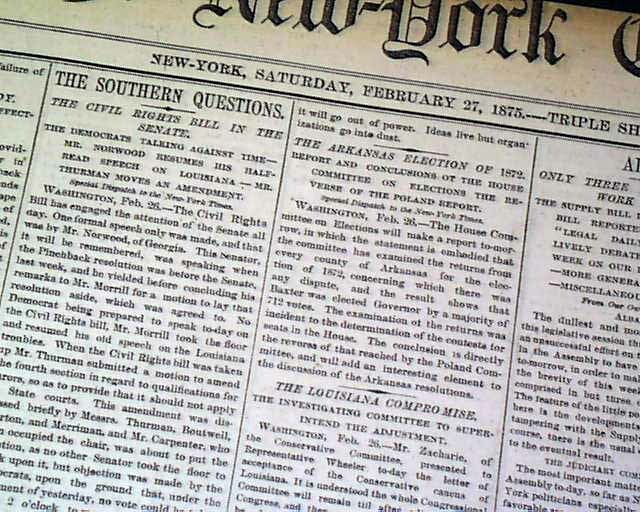 This issue contains other news of the day throughout. 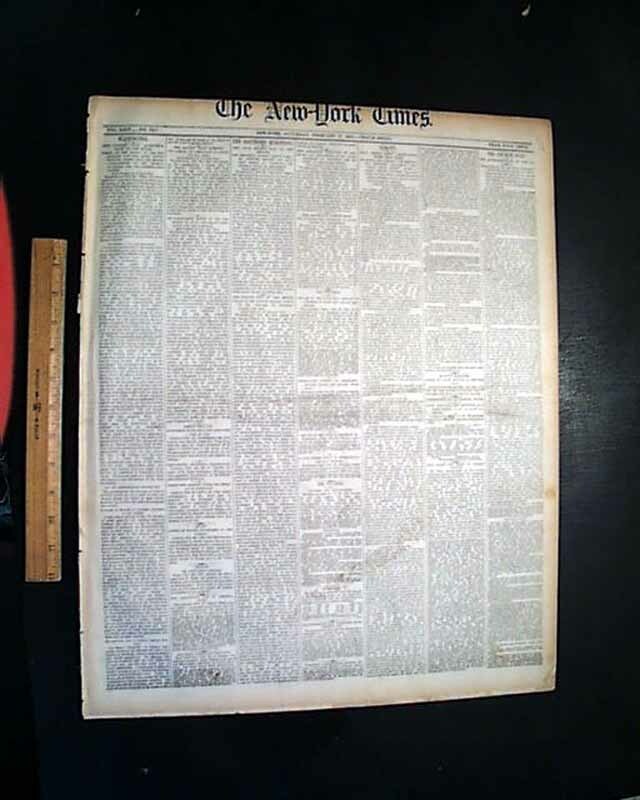 Complete in 12 pages, it has light browning and minor margin wear, but is otherwise in good condition.